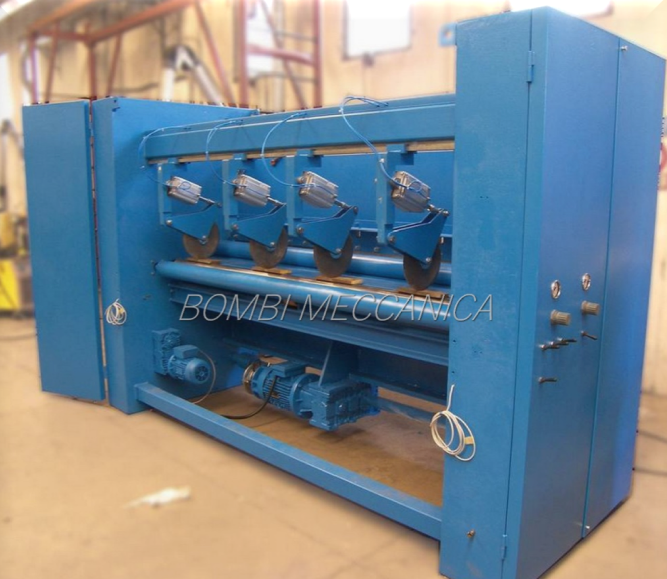 Extra strong and heavy duty machine to cut non wovens. Cross cut, made with a hardened steel guillotine blade. 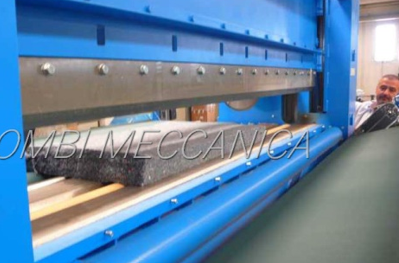 Regulation of the blade profile at various points, for perfect cutting at any width. 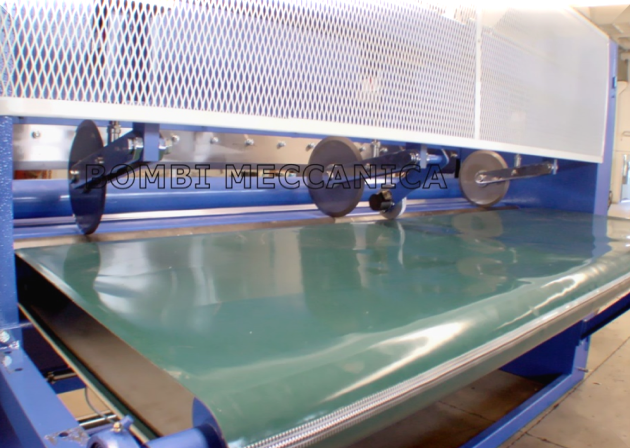 Regulation of the blade penetration, allows optimum action on the produtc to be cut. 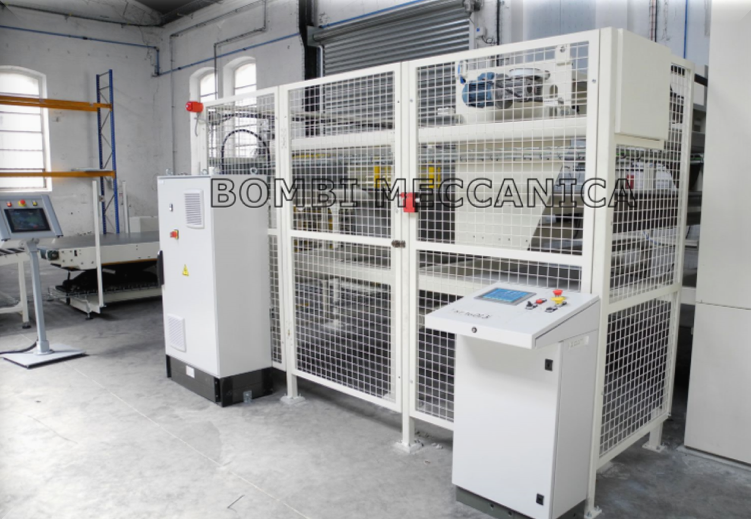 Standard stroke, up to 250mm, ideal for high loft wadding production. 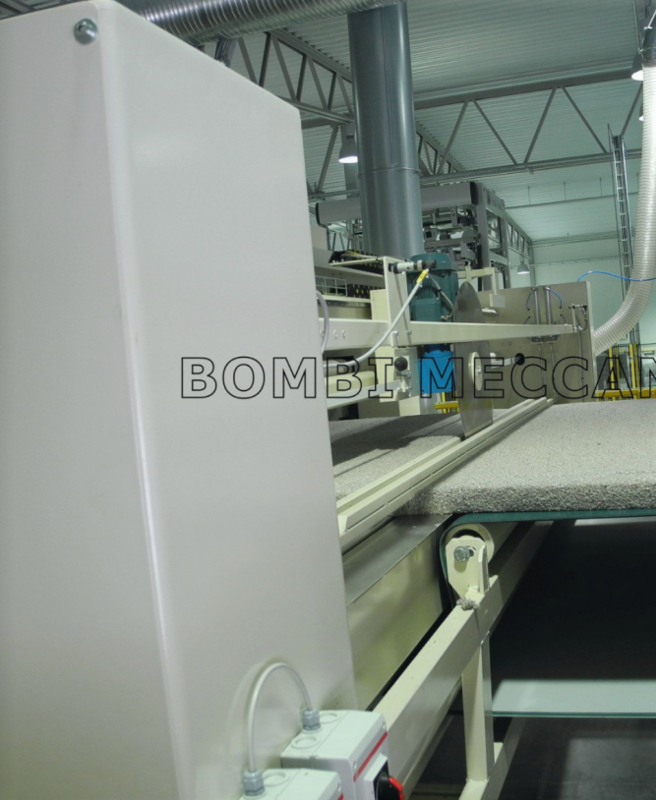 Pressing unit, with anti cushion effect on cross cut. The knife is driven by a 3-phase motor installed on heavy duty gear box driving a large diameter shaft, connected to two eccentrics, one each side of a blade. The eccentrics drive the blade against the nylon anvil bar, with a cutting cycle from upper point to upper point, of less than one second (for the 250mm stroke model and even less for shorter strokes.) 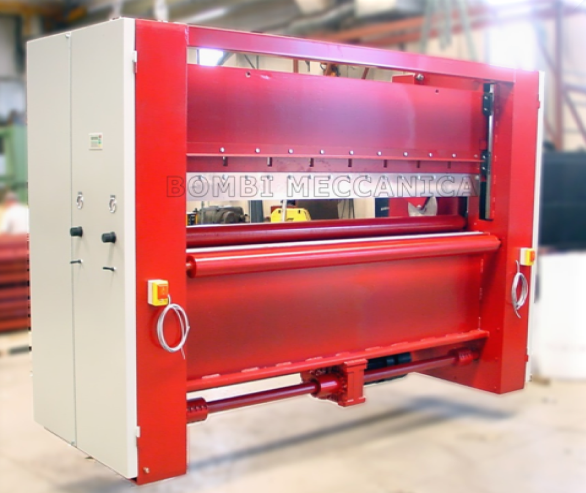 The blade contact with the product is only a fraction of a second, allowing the line to run without stopping and without the need on an accumulator. 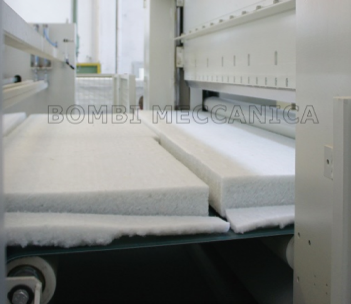 When cutting very thick webs, the guillotine system is not indicated because the product could be damaged by the compression. In such case, the moving blade cutter is more indicated. The cross cut consists in a high speed disk, running on a traversing carriage that moves across the web. 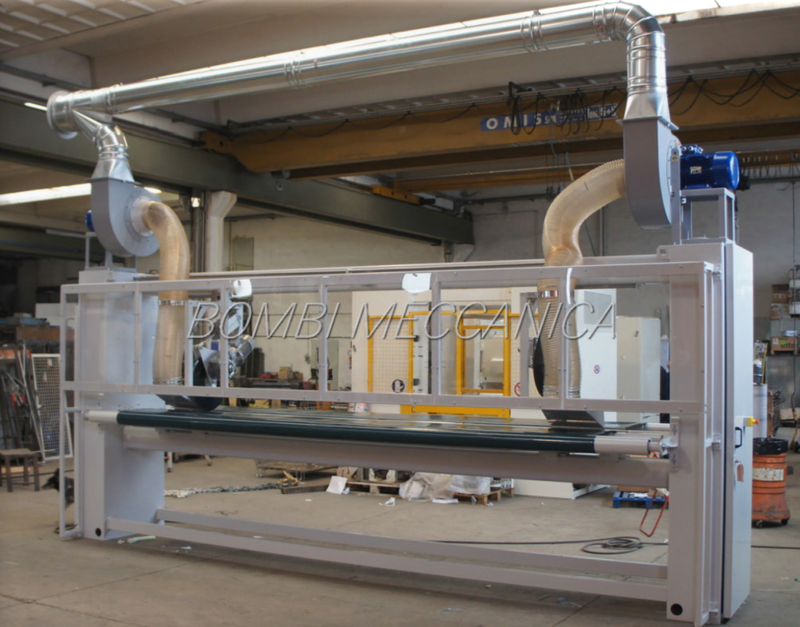 During the cutting, the carriage moves together with the web, at the same speed, in order to cut the web at right angle without stopping the web, No accumulation is needed. 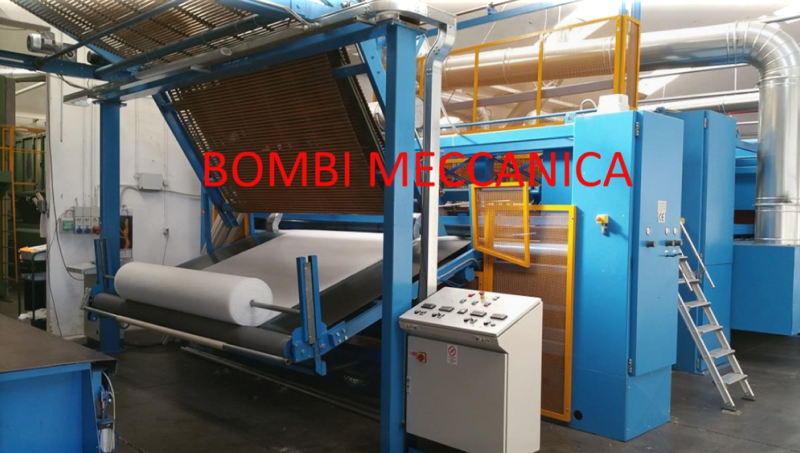 Optimum solution when cutting thin web for rolls production. The web is hold down during the cut. Indicated for polyiester wadding. The high speed blade is installed on carriage running left-right to cut the product. 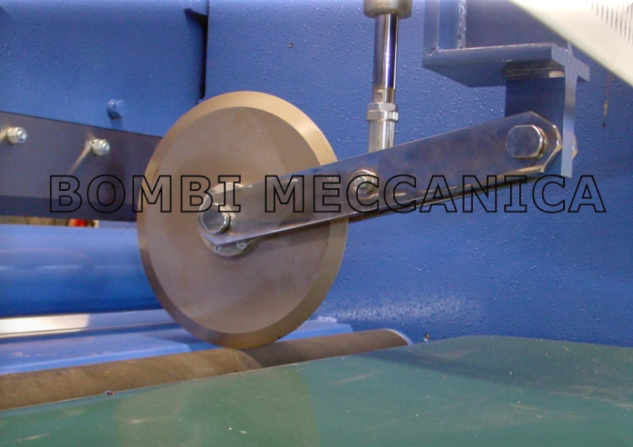 Blades, in hardened steel, work against a hardened roll, driven by an inverter controlled motor. 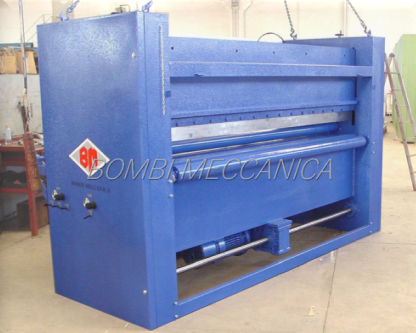 Each blade is individually pressed against the roller by a pneumatic piston. Very good for hard panels and thin felts. They do not require maintenance or sharpening. Blades are very sharp and driven at very high speed by variable speed motors. Special product support, to work in conjuction with the high speed blade. Very good for thick products. The cut is very straight, without damage to the edges and keeps the correct angle. 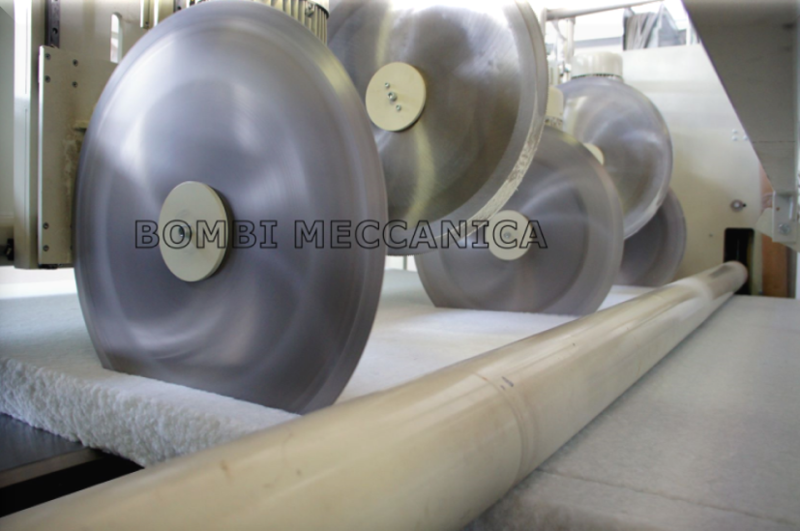 Blade are cooled continuosly during the operation to avoid sticking of the product. Adjustment of the position of the blades across the width of the wadding can be made either manually or from the control board via motors and encoders, with indication. Automatic sharpening kits are available. 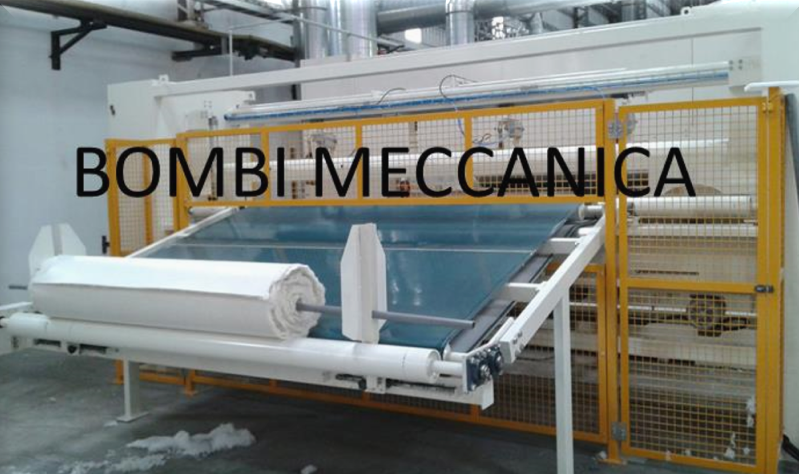 Specific solution to cut the web in exit of air lay forming head or in all conditions of loose fibers. 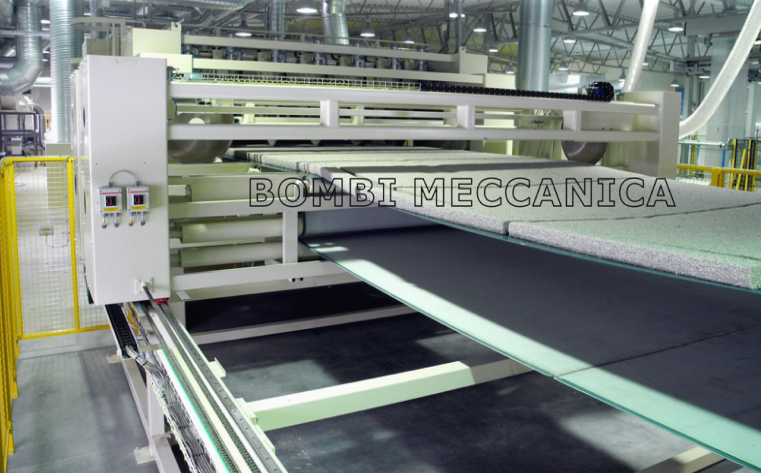 The disks are located at the borders and the selvedges are aspirated and sent back to the forming machine.